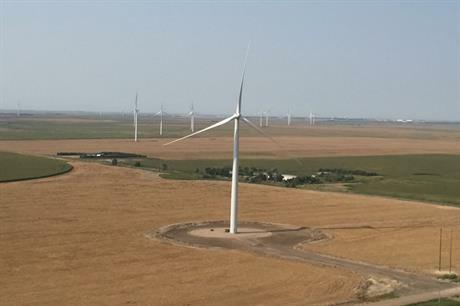 UNITED STATES: NextEra Energy Partners has agreed to acquire a 1.3GW-plus portfolio of wind and solar projects for approximately $1.275 billion from its parent company. The portfolio it will acquire from NextEra Energy Resources consists of ten wind farms and one solar PV project spread across the US. It has also entered into a $750 million convertible equity portfolio financing with a fund managed by Blackrock Global Energy & Power Infrastructure. NextEra Energy Partners also expects to assume approximately $930 million in tax equity financing and $38 million of non-recourse project debt from its parent company at the end of 2018. It expects the acquisition to be completed in the fourth quarter of 2018, subject to customary closing conditions and receipt of certain regulatory approvals. And the 20MW Mountain View solar PV facility in Nevada. Jim Robo, chairman and CEO of NextEra Energy Partners, explained that the US acquisitions replaced a portfolio of Canadian wind and solar projects it divested in April 2018. He added the US portfolio consisted of higher-yielding assets that benefit from a lower effective corporate tax rate and longer tax shield. NextEra Energy Partners will also have the right convert at least 70% of the portfolio financing into common units, Robo said. The company stated that it expects the acquisition to contribute adjusted earnings before interest, taxation, depreciation and amortisation (Ebitda) of approximately $290 million to $310 million and cash available for distribution (CAFD) of approximately $122 million to $132 million, each on a five-year average annual run-rate basis, beginning 31 December 2018.